It’s that time of the year again. Chinese New Year is just around the corner! Are you ready for the ultimate Spring Cleaning? Sometimes spring cleaning can be overwhelming. We need to focus on the one area that often gets overlooked but needs to be cleaned the most – carpeting & upholstery. The usual vacuuming and spot cleaning is a necessary step in prolonging the life of the carpet. But this only removes debris at the surface. Interim maintenance is usually carried out in ‘high traffic’ or ‘funnel’ areas to restore clean carpet appearance, prevent soil build up and minimise periodic deep (wet) cleaning requirements. Performing a deeper treatment approach will remove the dirt, pet hair, dust mites, and other contaminants that commonly work their way down further or are dug into the fibers themselves. 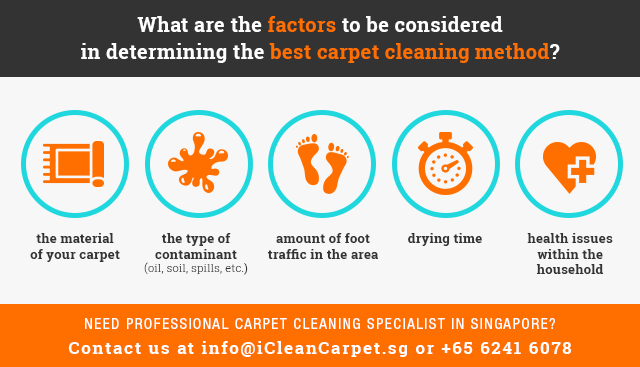 When it comes right down to it, it is the professional cleaner’s role to advise on the best cleaning process for your carpet. For the benefit of the health and welfare of your home environment and family, it is recommended that carpets receive regular deep cleaning. Calling an expert will ensure that the job is done properly with appropriate tools to revive your carpet in no time.